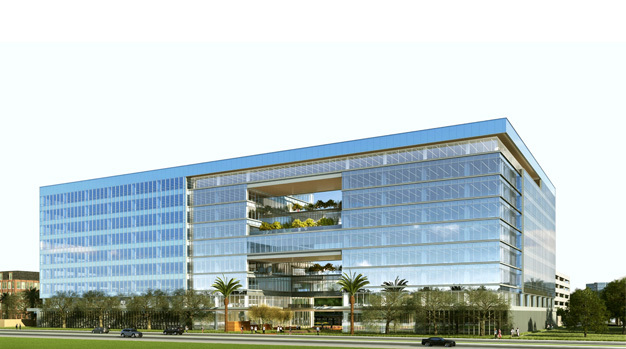 The Boardwalk is a new, Class A office campus in heart of the Irvine Business Complex. 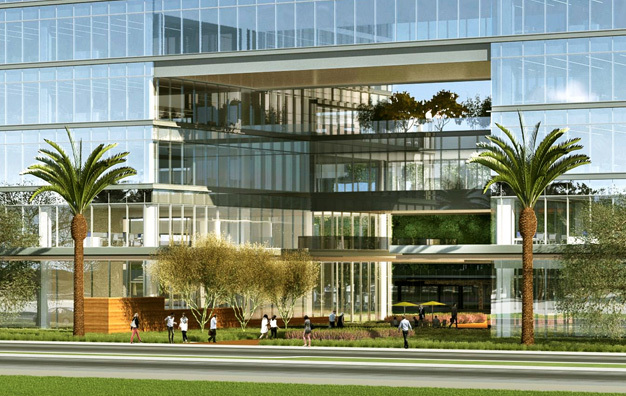 The 7.5 acre site will include two nine-story towers totaling 545,000 square feet of premier office space, 5,000 square feet of restaurant-focused retail space, and two full acres of landscaped open space. The Boardwalk is designed to meet the demand of users in need of large blocks of contiguous space. Its design will provide large floor plates and connect the buildings on alternating floors with indoor bridges and outdoor walkways. By bridging the two buildings, The Boardwalk offers office and amenity space unlike anything else in the market, as well as unmatched connectivity and efficiency with up to 65,000 square feet of contiguous space on a single floor. In addition to iconic architecture, one of The Boardwalk’s most significant differentiators will be the two acres of meticulously planned outdoor space. The project will take advantage of Southern California’s enjoyable year-round weather by offering opportunities for relaxation, social gatherings, and outdoor workspace through the use of comfortable outdoor seating. The Boardwalk’s best-in-class design features will include ceiling heights over 10 feet, high performance floor-to-ceiling glass, destination dispatch elevators, up to 5.0 per 1,000 parking, and a comprehensive amenity package. Plans for onsite amenities include conference and training centers, a fitness center, bike lockers, concierge service, 5,000 square feet of on-site restaurants and retail, and a rooftop patio that will provide tenants with views of the local wetlands, Saddleback Mountain, and the Pacific Ocean. Brightworks is managing the LEED Platinum certification of the campus development under the Core and Shell rating system. Construction is expected to begin the first quarter of 2016, with completion in the spring of 2017.